If you’re wishing for a flying car thanks to Marty McFly from Back to the Future II, maybe it’s time to try self balancing hoverboards. Hoverboard scooters are an effective mode of transportation, capable of reaching speeds close to 10 mph and “hovering” for nearly 20 miles on a single charge. They are awesome, fun to ride, and you look cool while riding them. For the average consumer, finding the best hoverboard to buy can be a very difficult task, considering how popular they have become nowadays. There are so many different hoverboard brands and types out there, not to mention the issues that people have experienced with them in the past that can make choosing the best hoverboard to buy a difficult decision. For those of you who are still unsure about the whole thing and want to eliminate the stress of buying one, we’ve prepared a buyer’s guide with plenty of interesting tips that you should know about prior to purchasing your new hoverboard. In fact, in April 2016, a jet powered Flyboard Air mini hoverboard broke the Guinness World Record for the farthest flight by hoverboard, flying 2,252.4 meters. 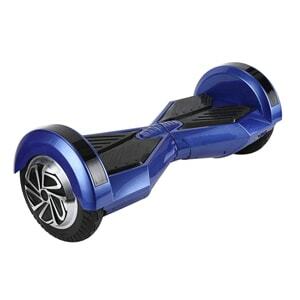 So, without further ado, let’s begin and find out the best self balancing hoverboard on the market. SwagTron T1 is one of the leading brands in the innovative world of electric hoverboards and has brought several safe products. The T1 is considered as a high-end and best rated hoverboard, and comes with some of the most exciting features available. In addition to its versatility and options, consumers can depend on a highly respected certification. This model has a UL2272 certification, which ensures its complete safety by showing that it went through a number of tests that demonstrates it’s reliable and safe. This commitment to quality puts to rest any concerns about older models from China that were presented on the market in the beginning of this buzz. Buyers can rely on the T1’s rigid safety testing. It offers patented SentryShield battery technology for a fully charged experience, making it a smart battery management system that protects the battery and makes sure it is doing its job. If you are looking for the safest and fastest hoverboard that is unique and easy to use, the SwagTron T1 is the product to buy. It is an affordable gadget that is designed to meet a high-quality aesthetic standard, but is also functional. Undoubtedly, it’s a prized product that you will want to empty your pockets for. If you don’t want to settle for less and are looking for the best electric hoverboard, check out the Segway miniPRO. We guarantee that once you see it you’ll instantly want one! You may have heard of the Segway brand before, as they are the leading manufacturer in the hoverboard industry, but the miniPRO is a Segway hoverboard like no other. 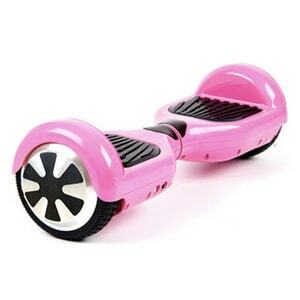 If you ride this hoverboard with wheels, there is no way you will ever go back to a standard self balance scooter. Whether you are a beginner or advanced rider, there are plenty of features you will love, such as a handle which makes carrying the hoverboard incredibly easy, especially for when you need to climb stairs. The miniPRO comes in a choice of two colors: black with red accents or white with red accents. Both colors look awesome! The miniPro can handle up to 220 lbs, as the outer shell is lightweight and made from aircraft-grade magnesium alloy. The tires are 10.5 inch air-filled tires and have the capability to deliver military-grade shock penetration to the rider. A knee bar that is padded provides the utmost of comfort, but still allows the ability of meticulous steering and exceptional control better than the other 2 wheel boards that are dependent on the foot pivot method. 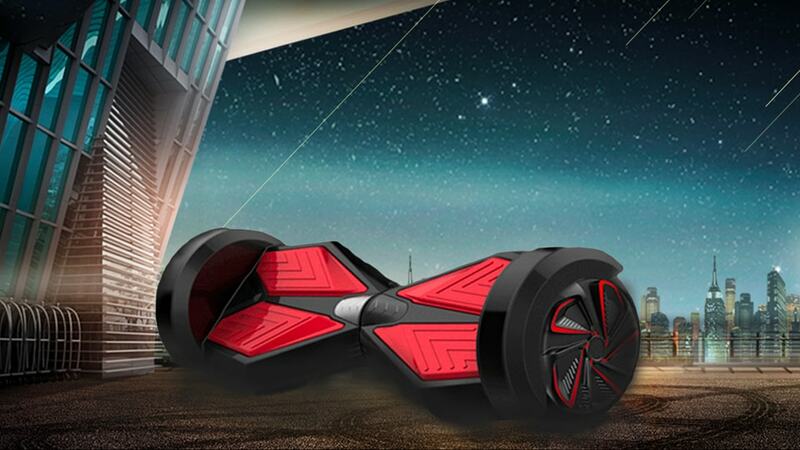 Just like the Swagtron T1, Segway hoverboard comes with the highest safety rating possible. The Segway miniPRO hoverboard does cost a pretty penny, but you’ll see that every penny was worth it. From its superb design and quality of materials, to its obvious and almost sci-fi aesthetic appeal, the miniPRO is a wonder of engineering. 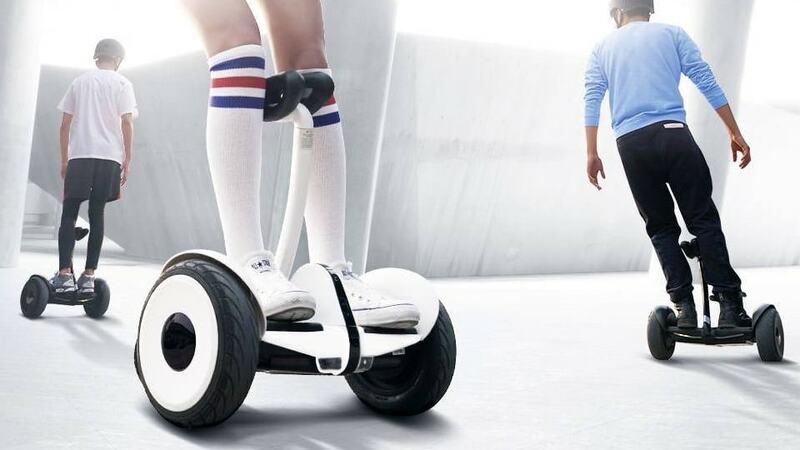 This becomes especially obvious when it comes to balance as its features make it the best self-balancing scooter on the market. The PowerBoard is not an ordinary self balancing scooter, despite its lack of arcane model numbers in the labeling. No, what you have here is anything but ordinary. 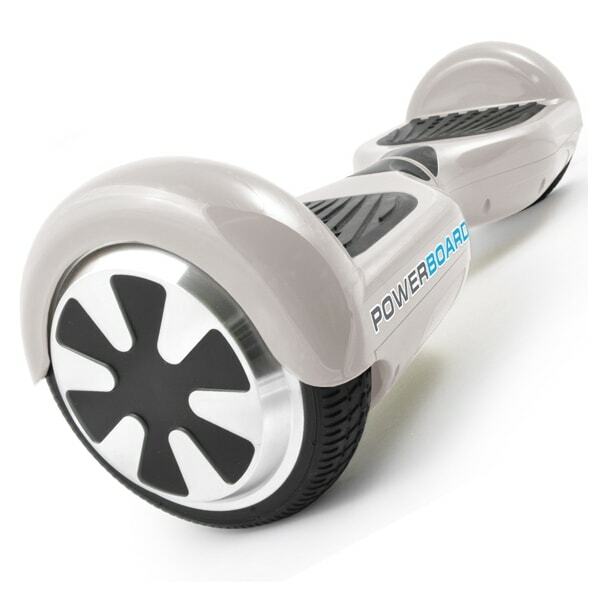 In fact, PowerBoard is a prominent vendor of self balancing hoverboards, guaranteeing a level of quality entertainment not easily found anywhere else. With PowerBoard you are assured of an affordable price tag that in no way undercuts performance and safety standards. Indeed, this slick model – while scaled down in comparison with a high-end product such as a Segway MiniPro – provides users with the expected handling features they desire. Let’s take a look at the features of the PowerBoard and go over the features of this budget-friendly model. The hoverboard meets the stipulated safety requirements of the U.S. government with UL2722 certification, eliminating the possibility of overheating, short-circuiting, or spontaneous combustion, which guarantees maximum safety with each use. It is both economical and performance-oriented, reaching speeds of up to 10km/hr without sacrificing the experience of a smooth ride and skillful maneuverability. A one-year warranty is available with each purchase, and exceptional customer service support is also provided, which ensures a quality experience with your purchase. The PowerBoard Scooter may be not the best self balancing electronic scooter out there, but it is certainly one of the best value and top rated hoverboards in the market, making it more than able to give the big boys a run for their money. In other words, if you’re reluctant to try a high-end self balancing board and would prefer something more budget-friendly without sacrificing the best features, the PowerBoard is the way to go. 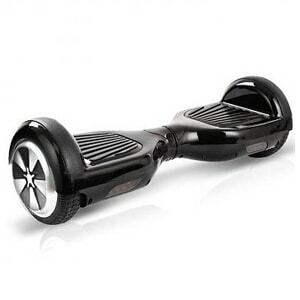 Next up, we are going to look at a self balancing hoverboard that is known as Street Saw. While this hoverboard’s unique name is the DailySaw 6.5, due to some miscellaneous logic, it is broadly identified by the company name. This best hoverboard scooter actually looks like your usual, standard hoverbaord, but it is available in a wide range of colors beginning all the way from black to funkily named tickle me pick. But besides its vast range of colors, the Street Saw is actually a very good and capable hoverboard scooter. Recently, it has been found that LED lights can produce extra sharp lighting. This means the lights can reach at least 6.5 feet away. This highlight magnification is a clear indication that the user is able to trace and identify obstacles, objects, and people who are moving towards his or her direction. Samsung or LG batteries are the best to use. They have been proven to work effectively and efficiently thus powering the electric self balancing scooter for longer hours. With this in mind, make sure to take great care of the battery as its endurance highly depends on its usage. While the previously delivered batches had not been certified, this hoverboard has a UL2722, making it considerably safer than the others. Its outstanding features allow it to have the most preferred traveling tires due to its light weight. Its lightweight makes it simpler to use than the ones previously introduced. 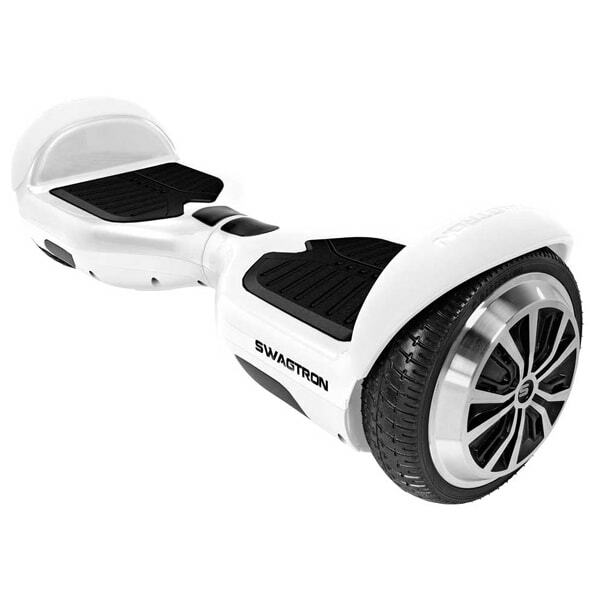 SwagTron T5 is an upgraded version of the T1 electric hoverboard and it’s greatly improved. While you won’t see much change in the design department, it has been made to be even more compatible with today’s technology. 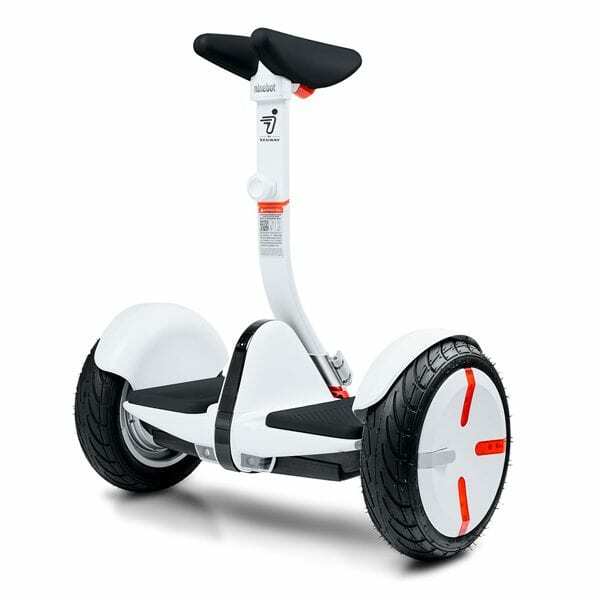 The T5 version of the self balancing electric scooter includes features like LED lights and Bluetooth speakers which you can sync with your phone and other devices. Before the T5 was launched, people suggested that this new version would also have a handle, but this is not the case. There will always be the naysayers and those who would “die” for it. 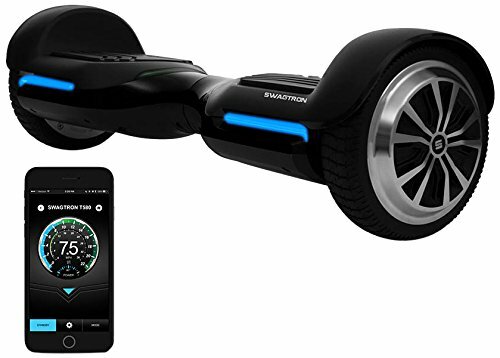 Yes, the SwagTron T5 isn’t the most advanced and fastest hoverboard you can find, however, its features like the SentrySheid technology as well as its performance makes this a worthwhile purchase. The hoverboard won’t spontaneously combust as it is UL2272 certified. This is a certification issued by the government that ensures the product’s safety. 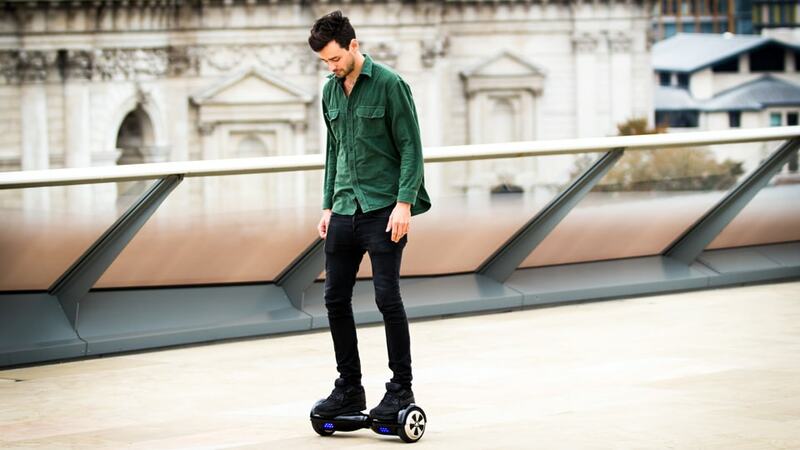 Depending on the user, the hoverboard’s speed can be set as up to 7.5 mph with a range of 7-12 miles. SwagTron T5 is powered using a lithium-ion battery that can be charged for up to 2-3 hours and won’t heat up. 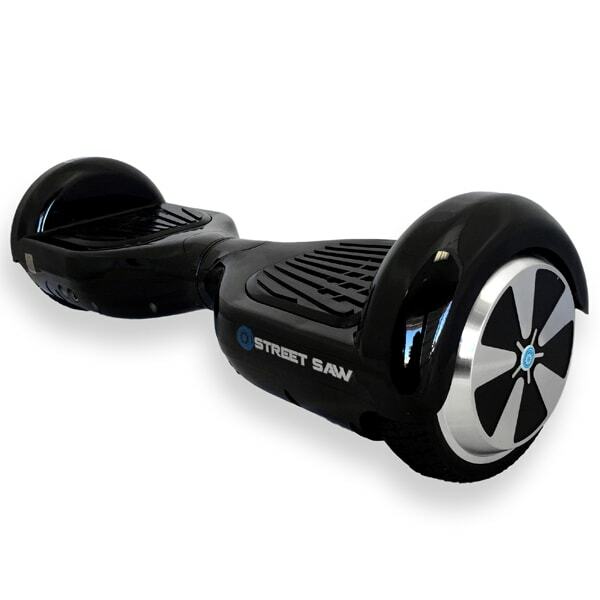 The self balancing board has an overall sturdy and lightweight shell with built-in LED headlights, rubber bumpers, battery indicators, and Bluetooth speakers that can be synced with your phone. The SwagTron T5 is fabricated with SentryShield technology and intuitive battery management (like the previous T1) guaranteeing its safety for users. For those who are wondering if this is better than the T1, well, that’s subjective. As with every new update, there will be people who love it and others who hate it. This version includes features that T1 didn’t feature, but excludes features that the T1 does have. Do you need all the features of the T1? Will you miss those features? Will the new features in the T5 be satisfying enough? This is a decision that you’ll have to make. 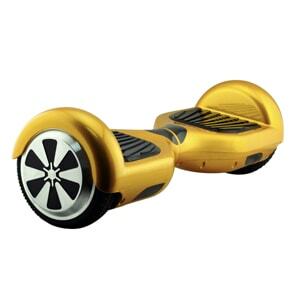 A self balancing hoverboard is a valuable asset. Apart from fitness benefits, it can serve as a transport to explore your surroundings. 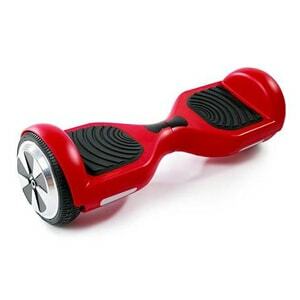 However, the market has plenty of options when it comes to top rated hoverboards. If you are looking to buy a new hoverboard, here are some of the important tips you need to consider before you buy one. Also, be sure to choose an electric self balancing scooter that satisfies your needs and does not ask for unreasonable expenses. Search for a model that is equipped with a modern shock absorber. If one brand offers you extra perks but is doubled from its original price, it is not worth it. If another brand asks for additional $200 for a significant feature like a special grip for children (usually for hoverboard for kids), then that’s up to you to decide. Another factor to consider is the hoverboard design, skins and colors. 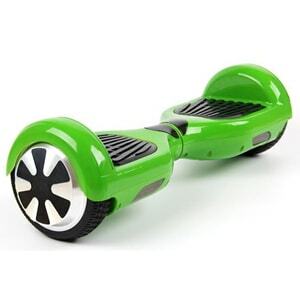 The top rated hoverboards are available in a variety of colors. Hoverboard-related fires between December 2015 and February 2016 were responsible for more than $2 million in property damages nationwide. Some college campuses and airlines have banned self balancing hoverboards altogether, and the United Kingdom has completely outlawed their use in any public space. In 2016 around 501,000 hoverboards are being recalled by 10 manufacturers and retailers nationwide over lithium-ion batteries that can overheat and explode, according to the U.S. Consumer Product Safety Commission. You might have seen them in a celebrity’s Instagram videos or other places, and might have thought about whether these self balancing hoverboards would be good for you or not. If you still have questions as to why you should give them a try, then you need to take a look at some major advantages below. The self-balancing scooter runs on batteries, so there is no need to buy gas and fill up a tank. To enjoy a fully dependable and never-ending ride, you just need to have some batteries on hand. Controlling a hoverboard isn’t rocket science. To accelerate, you just have to lean forward, and to stop, lean backward. If you want to turn right or left, you only need to move the right handlebar backward or forward. Hoverboard scooters are engineered with a lightweight material which allows you to easily carry it with you. Hoverboards do not need major maintenance. You just have to regularly check the batteries and occasionally clean it. You obviously can’t ride it inside a subway or use it for a two hour trip to the medical center. However, an electric hoverboard is ideal for small trips to the local grocery store or café. One of its biggest advantages is that it’s environmentally friendly. There’s no gas or petroleum involved. It’s a win-win situation. For those of you who have no clue as to how a self balancing hoverboard works, we are going to take a deeper look into its technology. It might look very futuristic, but it works on a very simple platform. 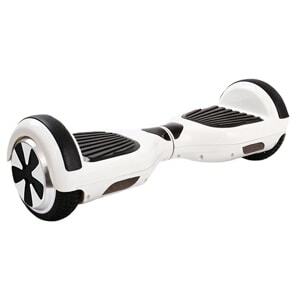 Self balancing boards contain CPU, which acts like a human brain translating information, and is sent by microprocessors located in various areas of the scooter. These microprocessors work similarly to a human’s inner ear. The inner ear contains fluid that shifts when we move and sends signals to the brain, telling it that we are in motion. This cool technology has taken the world by storm. How to Ride a Hoverboard. The electric scooter is an incredibly intuitive device and senses even the slightest bit of motion. Relax your muscles as much as you can, take a deep breath, and then apply an equal amount of pressure on both sides of the device. Stand directly behind your hoverboard. Place one foot on the rubber foot mat, keeping the instep of your foot where it meets the middle of the rubber mat. Find your center of gravity on the scooter. If your weight is distributed evenly on the foot mats, you should be able to stand on it. On average, it takes about 3-5 minutes for someone to get comfortable standing on a balancing scooter and maintaining proper balance. Interesting fact: Just thinking about which way you would like to go will shift your center of gravity, and that subtle movement will propel you in that direction. Stepping off of the electric hoverboard can be one of the easiest steps, yet when done improperly, may cause you to fall. When getting off, you have to remain balanced. Then, you need to get one of your feet off and the other one quickly off the pedal. Don’t step off going forward as this might cause you to slip and fall. Some hoverboards cost $350, while some cost over $900 and come with Bluetooth and bigger tires. 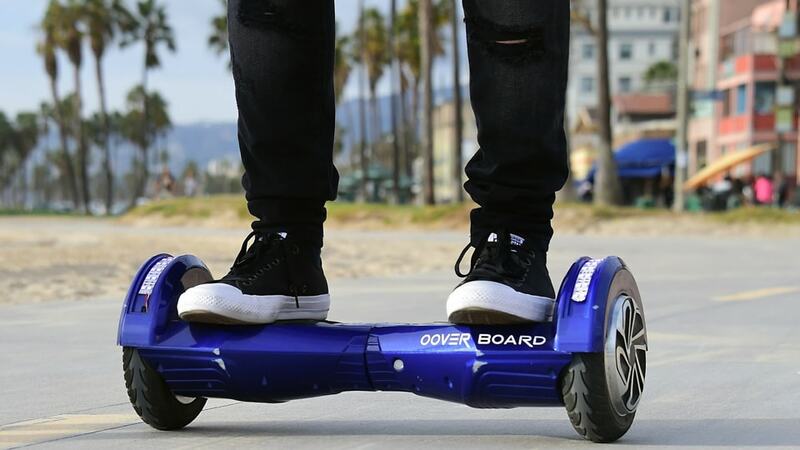 The price of a new hoverboard is determined by a number of factors. The higher the quality, the higher price. However, you can still get some reliable models that can cost you between $500 and $900. The electric self balancing scooters manufactured in China will cost you about $250 to $300. If you are looking for something stylish and durable, then you have to be prepared to pay for it. With $1,000 in your pocket, you can easily get the best hoverboard to buy with a variety of cool features. Due to the recent hoverboard craze, new brands are popping up left and right and trying to get into the industry. We recommend you buy from a brand that is actually reputable and trustworthy enough to purchase from. Brands such as MonoRover, Swagtron, and Swagway stand by their customers and have great products. Among the retailers you can buy from are major stores that include Amazon, Overstock, and even Sears. The best place to order a self balancing hoverboard online is Amazon as you’re protected by Amazon’s return policy. They have one of the largest selections of best electric hoverboards and you can find yourself a great deal. Back to The Future Hoverboard. Anyone who watched Back to the Future dreamed that in 2015 we would finally would be bouncing off walls and racing cars while floating above the ground using a Marty McFly water hoverboard, all with the ease of a normal skateboard. 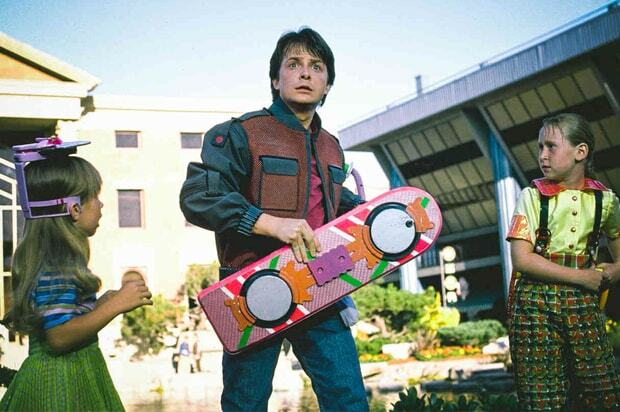 Designs, which have emerged in last few years, are far more rudimentary than the McFly hoverboard in the movie. Lexus and Hendo created a colorful hoverboard that looks exactly like the one in the movie, but when it comes to usability, it doesn’t work like it. Even professional skateboarder Tony Hawk stated his hover dreams were way too ambitious when he tried it for the first time. A hoverboard that uses battery-power can only stay aloft for a little more than a minute, but developers claim that with a fuel it will would be able to fly for about 25 minutes. Hoverboards with electromagnetic technology allow it to fly for about 15 minutes, but only by staying aloft over metals that do not contain iron. A working prototype of today’s self balancing hoverboard has been ready since 2013, but if the current self balancing boards bear a striking resemblance to the water hoverboard from Back to the Future II, they are too far away from what we expected to see in 2015. There’s still hope though that everyone can become a McFly sooner rather than later.